Short description: Borel is the surface buoy, relaying bi-directionally measurement data or commands between seabed and shore, through underwater acoustics and satellite. Borel holds a geodetic Global Positioning System and can host near surface ocean sensors. 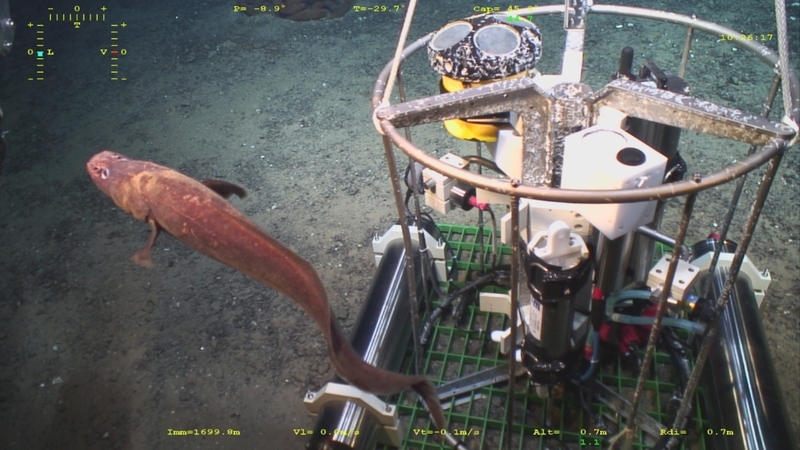 Short description: SeaMoN West is the station moored in the lava lake. 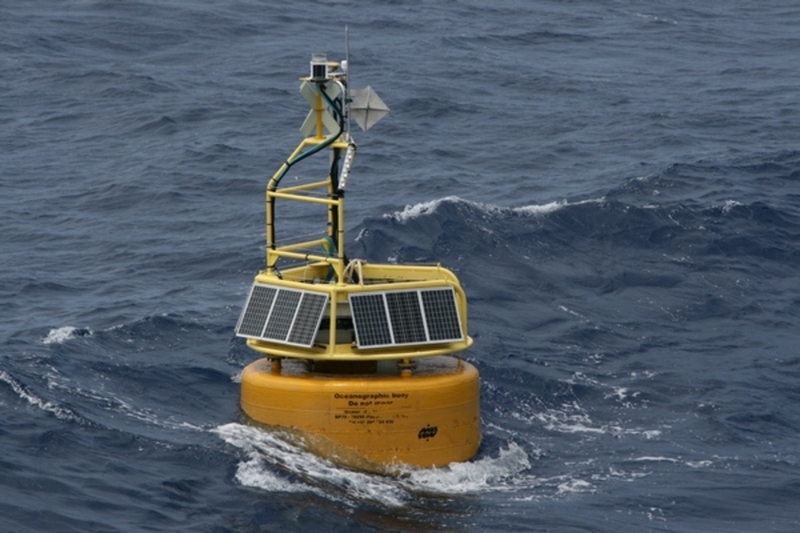 It serves the local set of sensors and provides bi-directional acoustic communication with the surface buoy. SeaMoN West is dedicated to geophysical observations. Short description: SeaMoN East is the station positionned at the base of the Tour Eiffel active edifice. 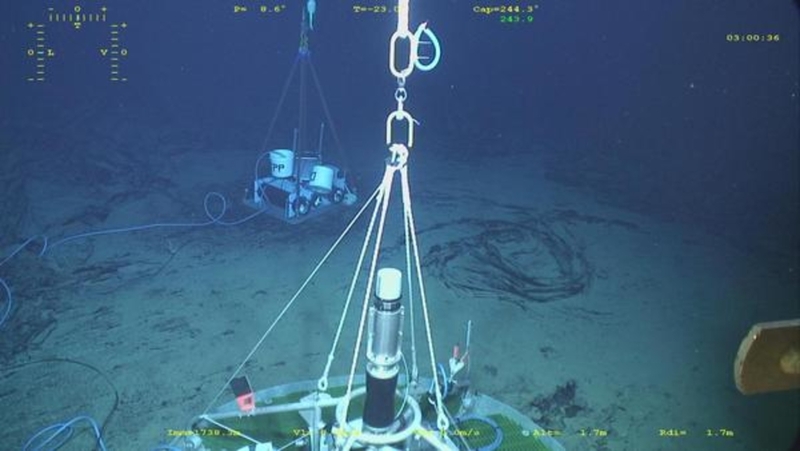 It serves the local set of sensors and provides bi-directional acoustic communication with the surface buoy. 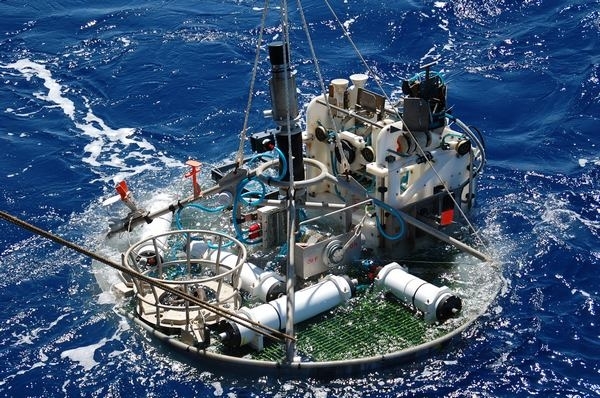 SeaMoN East is the EMSO-Azores ecological node. 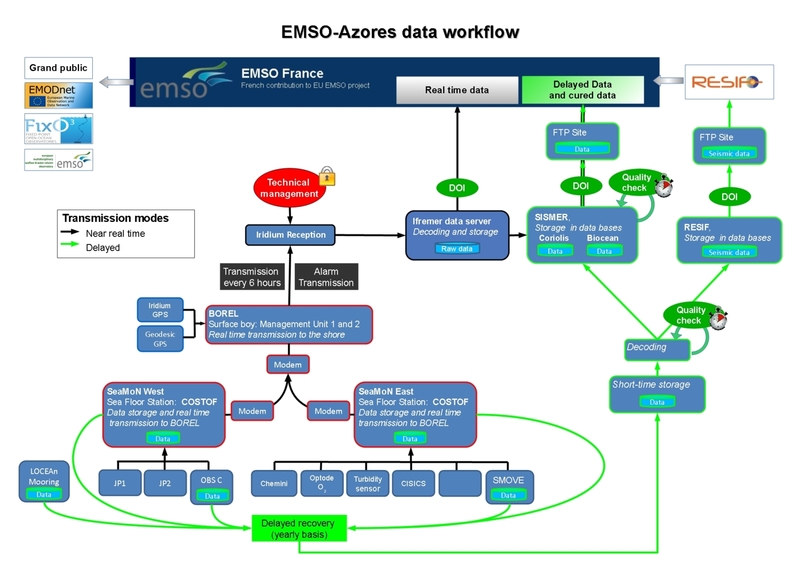 Short description:The EGIM, EMSO Generic Instrument Module, aims to have the same set of core variables measured homogeneously on the various EMSO nodes. 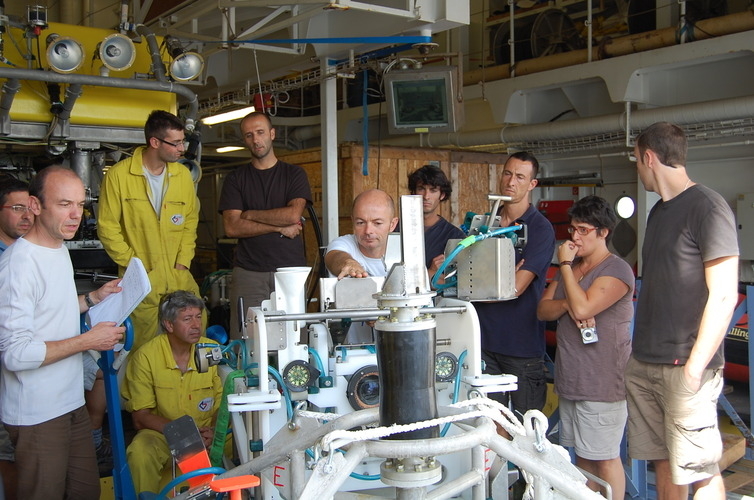 The EGIM was developed within the frame of the European Union funded H2020 project EMSOdev.